The skincare secrets of women with gorgeous complexions – and yes, they’re in the biz. 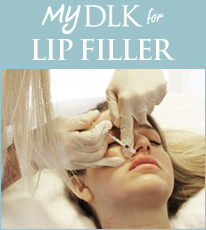 Expert Testimony: Dr. Lisa Kellett, Dermatologist at DLK on Avenue, Toronto, Age 39. Fashion: Has your skin ever been anything less than perfect? Dr. Lisa Kellett: Are you kidding? My disastrous skin prompted an entire career change. I was under so much stress as an internal medicine resident, working 110 hours a week in the intensive care unit, and I had a severe flare up of adult acne. I saw a dermatology specialist, who cleared up my acne, and I discovered that my true calling was dermatology. Fashion: What’s your number one skincare no-no? Dr. LK: Do I have to limit myself to one? I’ve got two. First, avoid the sun like the plague. Dermatologists know only too well how big a part the sun plays in cellular damage. I’ve made it my mission to make wide brimmed hats fashionable again. I wear one made of a material with UPF (ultraviolet protection factor) of 50. It has a five-inch brim in the front to protect not only the face but also the neck and chest-areas that many women forget about. I even created my own sun protection product designed just for people like me who want protection from the sun but are acne-prone. It’s an oil-free, water-based spray with an SPF of 30, so I get excellent protection but no acne breakouts. Second, never ever pick or perform what I call ‘self-extractions.’ Both can lead to scarring, infection and cyst formation. With all of the new technology available, there is no need to do either, as there are more sophisticated methods of removing blackheads and resolving papules. Fashion: Let us into your bathroom with you. What’s your morning routine? Dr. LK: My skin care routine is actually very simple and can be performed effectively while signing a school-trip permission form with a three-year-old hanging off one leg-a sure sign of ease, I think. I use my own line, starting with the Clear Polishing Gel Cleanser in the morning, followed by the Sunscreen Spray SPF 30 and Clear Gel Moisturizer. Fashion: What are you trade secrets? We promise to keep it between us girls. Dr. LK: I’ve got two for you. I always add boosters to my moisturizer. I’m a big believer in antioxidants, which offer the most potent prevention. So I boost my hydrator with vitamin C in the morning to brighten my skin and stop the nasty work of free radicals. At night, I put vitamin A in my moisturizer to beef up my anti-aging, collagen-building arsenal and reverse photoaging. And I absolutely love diamond peels, which remove the superficial layer of dead skin cells and clean out pilosebaceous units [pores]. I follow this with a low-level Lumenis 1 [laser] treatment to treat any brown sunspots and keep my rosacea – a product of my Irish heritage-under control. I do both once a month, or more frequently if I have a special event. Fashion: When is your skin at its finest? Dr. LK: Whenever I’m pregnant-and I’ve had four kids. In fact, all those circulating hormones make my skin look so amazing, I’m tempted to have a fifth. Fashion: Lisa’s desert island survivor kit?